The Right to Information (RTI) Act comes into effect on 3rd February, 2017 bringing with it a promise – of open government, of citizens’ active participation in governance, and of accountability to the sovereign people of the country. The government last week gazetted the categories of public authorities that fall within the purview of the Right to Information Act. In a positive move, the government has gazetted all the Public Authorities prescribed in the law. This is a historic moment in Sri Lanka’s RTI story; one that marks the culmination of a movement of over 20 years. However, it remains to be seen whether both the state and citizens will operationalize the right to its true potential. The Ministry of Mass Media and Parliamentary Reform states that it has been laying the groundwork on the supply side of RTI, with trainings for public officials and appointments of the key public facing information officers and designated officers. The ministry has also been working closely with the RTI Commission, which is vested with wide powers under the Act, such as to hear appeals, institute action against alleged offenders, and prescribe guidelines on record management and proactive disclosure, among other powers and functions. In spite of these developments, the people of Sri Lanka remain largely uninformed of the right they now enjoy, and of how it may be used. The responsibility cast on the people with this right – to truly take ownership of it and use it as a tool in their day-to-day lives – is also overlooked. The role of the government in demystifying RTI for the people is of paramount importance for its success. 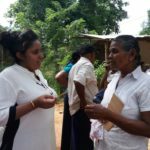 TISL has already begun reaching out to citizens in various districts including Colombo, Matara, Vavuniya, Jaffna, Ampara, Rathnapura, Anuradhapura and Trincomalee, forming civil society coalitions with the intention of mainstreaming the use of RTI. 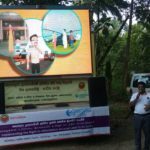 TISL and its partners will also take RTI to the public through a RTI bus which will act as a mobile awareness-raising RTI request facilitation centre. TISL has also launched a trilingual website – www.rtiwatch.lk that disseminates RTI related information. On 3rd February, TISL will be filing several public interest RTI requests at the relevant public authorities, seeking information pertinent to open government – including the assets and liabilities declarations of the President and the Prime Minister. The public authorities then become liable to respond to these requests within the specified timelines, subject to a maximum of 28 days. Like many government initiatives there will be inevitable disappointment. However, it is essential that citizens apply themselves diligently in order to make this system work. RTI now is the people’s. Whether at the level of the officers in charge of giving information or the citizen, political will no longer needs to be a factor. It is now a legal obligation.